UUpon access of this website or any links connected therewith you have bound yourself irrevocably to the standard terms and conditions of use of the website and/or database. You warrant that you have read and understood the content, effect and implication of the standard terms and conditions and consider yourself bound thereby. You warrant also that you have read all other terms and conditions applicable upon you and related to your registration on this website and/or database whether such terms and conditions arise from your business relations with South African Tourism or is otherwise applicable to you as a result of any legislative measure, whether such legislative measure's applicability to your business is elective or not. You warrant that the information supplied to our website and/or database is accurate and current and you likewise indemnify South African Tourism, its principals and/or its subsidiaries from any damages or loss South African Tourism, its principals and/or subsidiaries may suffer as a result of your failure to supply accurate and current information to the website and/or database. You warrant that the information supplied to our website and/or database not in breach of any legislative measure, law and or contract and you likewise indemnify South African Tourism, its principals and/or its subsidiaries from any damages or loss South African Tourism, its principals and/or subsidiaries may suffer as a result of your failure to supply bona fide lawful information to the website and/or database. 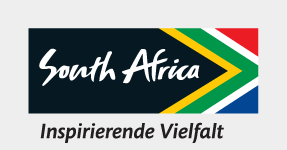 Notwithstanding any other provisions in these terms and conditions, a breach of these terms and conditions shall entitle South African Tourism, its principles and/or its subsidiaries to impose upon you a conventional penalty in terms of Act 15 of 1962 for such breach in addition to cancellation of its agreement with you, which conventional penalty shall be the amount of R 100,000-00. For the purposes of any dispute or claim in terms of this agreement the parties agree to the jurisdiction of the magistrate's court notwithstanding the amount of the dispute and/or claim, save for South African Tourism being able to elect to proceed from the High Court should it wish to enforce the conventional penalty.